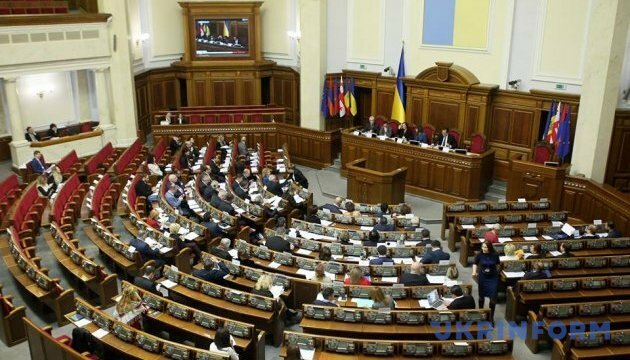 Ukraine’s Parliament passed the draft Election Code in the first reading. The document foresees introduction of the open-list proportional electoral system to the Parliament as well as the change of the voting system at local elections. The respective draft law no.3112-1 was voted in by 226 of the 368 MPs registered in the session hall. Authors of the draft law are the Head of the Verkhovna Rada (Ukraine’s Parliament) Andriy Parubiy, MPs Oleksandr Chernenko (Petro Poroshenko Bloc) and Leonid Yemets (Batkivshyna faction). The document thus foresees the introduction of the regional open list system at the parliamentary elections. Thus, the draft law suggests changing the election system applied at the parliamentary elections. It also allows voters to cast their votes for a particular candidate included into the regional party list. “There will be 27 electoral regions in Ukraine, in each of the regions the parties will present their lists of candidates and the voters will cast their votes for one of the parties and optionally for one of the candidates suggested by the party in this regional list, thus ranking these candidates,” Chernenko explained. He reassured that it will make it impossible for the party head to influence upon the candidate’s ranking in the list. It is also suggested to set the four per cent election threshold for the party to enter the Parliament. The actual threshold is five per cent. It is suggested to apply a similar system at the elections to the Parliament of the Autonomous Republic of Crimea as well as to regional and city councils. It is suggested to use plurality voting system during the elections of mayors in the regions’ main cities. The “Local Elections” section of the Code establishes a multi-member majoritarian voting system at the elections to the village, town, city and district councils in which the number of voters does not exceed 90 thousand persons. The district will thus have not a single winning candidate like it is today but from two to four candidates, depending on the number of voters in the district. According to Chernenko it is going to decrease the tension of the political struggle, the number of violations and abuses at the elections. The legislation in force stipulates the mixed voting system – 50 per cent of the MPs are elected based on the majoritarian system, other 50 per cent – based on the proportional closed-list system.